Bill Gates has been on the list of the wealthiest people in the world every single year since 1986. Over that time, his wealth has increased from $350 million to $100 billion. Yeah, that is hard to grasp overall. With Microsoft, Gates is the preeminent figure in the rise of the personal computer, internet, and technology in general. Let's take a look at how his net worth has changed over the years. Bill Gates became the world's youngest self-made billionaire in 1987 after growing excitement for the software industry drove Microsoft's stock higher. At one point this year it was six times the value of the IPO price. In 1990, Microsoft released Windows 3.0. By the end of the year, nearly two million copies had shipped, making Microsoft the first personal computer software company with sales over $1 billion annually. This is the year Bill described his strategy as putting "Windows everywhere." Throughout the early 90's Gates' fortune rose alongside Microsoft's share price. The company released Windows 95, which sold more than one million copies during its first four days on the market. 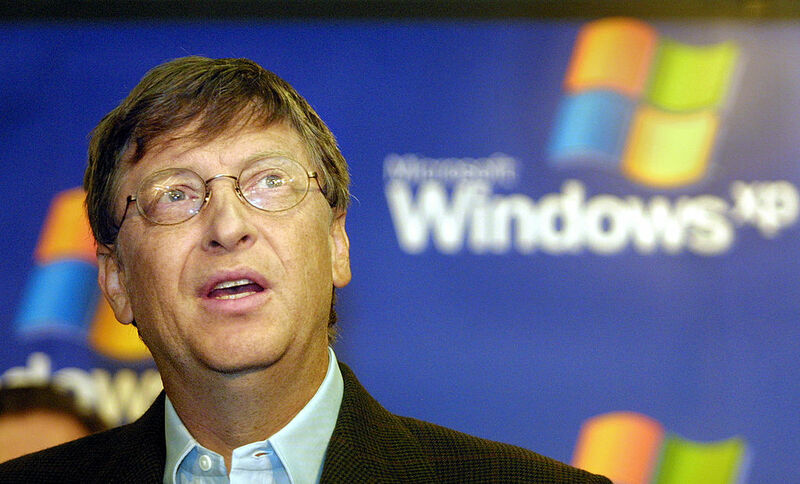 Gates' net worth more than doubled from 1996. He is now the richest man in the world and $19 billion richer than the second richest, Warren Buffett. Tech stock frenzy hits an all time high, boosting Bill's net worth to $85 billion. His increase from the previous year is more than $25 billion. That's roughly $3 million per hour. At one point in 1999, his net worth was briefly more than $100 billion. The year 2000 marked the first year Gates saw a significant decline in his wealth. The tech bubble burst and the antitrust trials against Microsoft took a toll on the company's stock price. Gates stepped down as CEO. Steve Ballmer becomes CEO of Microsoft. Bill Gates was not immune to the effects of the global financial crisis. His net worth took a big hit in 2009 like many people's. From this point forward, Gates' net worth was on a serious climb and tracked by Celebrity Net Worth. From 2017 to 2018, Gates went from a net worth of $86 billion to $90 billion. He made $4 billion in ONE YEAR. That's nearly $11 million per day. Today, Gates is about $10 billion richer than he was one year ago. He's up $24 billion in the past five years. He is in an exclusive two-man club of people who are worth $100 billion or more.